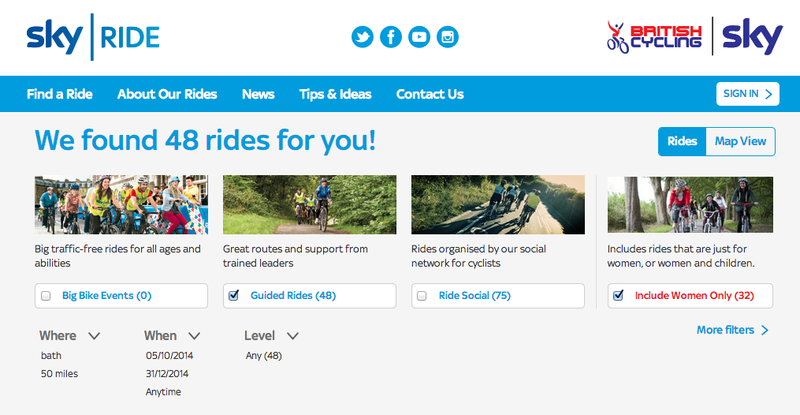 The site is a database of a huge number of cycle rides that people are organising off their own back as well as through organisations. The rides cater for ANY type of riding you might want (e.g. Women only, MTB, slow rides, fast rides). 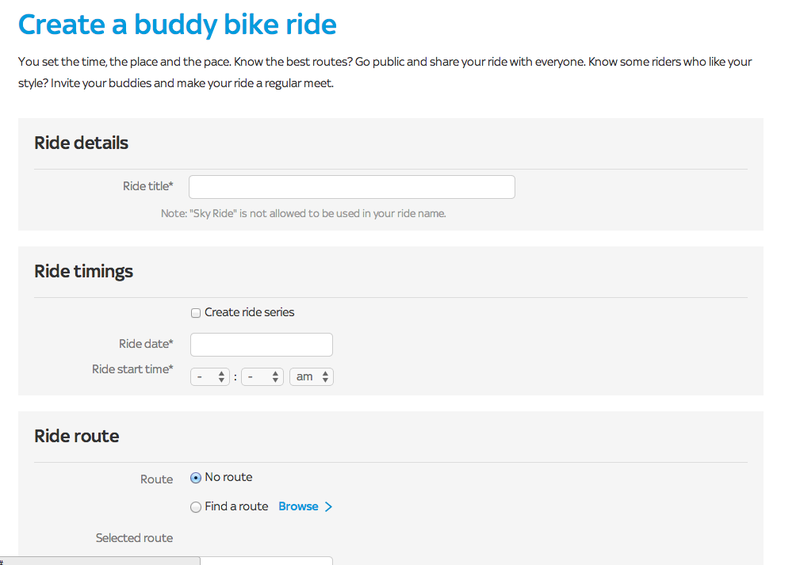 Go Sky Ride results page showing 48 rides available in the Bath area. Creating a Sky Ride in your dashboard.